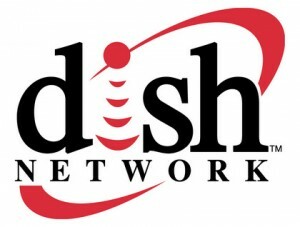 Recently, DISH Network Corp. (NASDAQ:DISH) made an offer of as much as $7 per share, including $4.76 per share in cash and around $2.24 in stock, with a total transaction value of $25.5 billion for Sprint Nextel (NYSE:S), the third largest wireless carrier in the U.S. Previously, Sprint Nextel also received an offer to sell 70% of it for around $20 billion from the Japanese telecommunication company, SoftBank. Sprint Nextel, incorporated in 1938, is the provider of wireless and wireline voice and data transmission services to subscribers in all 50 states in the U.S., under several retail brands including Sprint, Boost Mobile, Virgin Mobile, and Assurance Wireless. The company is operating in two main business segments: Wireless and Wireline. The majority of its revenue, $32.35 billion, or 91.5% of the total 2012 revenue, was generated from the Wireless segment, while the Wireline segment contributed only $3 billion in revenue. In the past three years, Sprint Nextel Corporation (NYSE:S) has experienced a decent growth in both average retail subscribers and the average revenue per user (ARPU). Since 2010, the average number of retail subscribers has increased from 44.5 million to more than 47.7 million, while ARPU has risen from $48.06 to $49.92. The postpaid ARPU grew from $54.94 to $60.84, whereas the prepaid ARPU declined from $27.76 to $26.72. SoftBank has offered to buy 70% of Sprint Nextel for $20.1 billion and the deal was expected to close in the middle of 2013. Mr. Masayoshi Son, the president and CEO of SoftBank, thought that he could take the experience in turning around the mobile business in Japan of SoftBank and apply them to Sprint Nextel. In Japan, he has competed with his competitors with the strategy of consistent price cuts to take away their customers. He might use a similar strategy to compete with the other two big rivals, AT&T Inc. (NYSE:T) and Verizon Communications Inc. (NYSE:VZ). At the same time, he will spend a lot of money to improve Sprint Nextel’s network. Mr. Son expected that in the first year, there would be a negative impact on earnings, but the profits would come from the second year onward. Including Sprint Nextel Corporation (NYSE:S), SoftBank estimated that its operating profit for the fiscal year 2014 would reach around ¥700 ($7.7) billion. After SoftBank’s offer, DISH Network Corp. (NASDAQ:DISH) came along with a $25.5 billion deal to buy out Sprint Nextel. Sprint Nextel’s shareholders will receive $4.76 per share in cash and stock, accounting for around 32% in the combined company. DISH thought that the acquisition would create an industry-leading spectrum portfolio to provide to customers a fully integrated bundle of video, broadband, and voice services. Indeed, DISH Network Corp. (NASDAQ:DISH)’s offer is more superior to SoftBank’s offer. DISH’s cash offer of $4.76 per share is 18% higher than a $4.03 cash portion offer of SoftBank. Furthermore, Sprint Nextel Corporation (NYSE:S)’s shareholders will own 32% of the new company, leading to a 13% premium compared to the SoftBank’s offer.